The Last Chardonnay – Page 9 – Blogging through shared experiences, victimizations, and behavior patterns of persons with high-functioning alcoholism, personality disorders, and the subsequent emotional abuse. This podcast was recently sent to me. It is one of the most descriptive and profound I’ve heard. Copy and paste the link below to listen if it doesn’t play. People with narcissistic personality disorder (NPD), on the other hand, take mirroring to extremes. Because early childhood circumstances prevent them from establishing a core sense of identity and self-worth, narcissists forever look to external sources for definition and esteem. When they find a prospective or new partner, they study that person and attempt to reflect back their personality, style, interests, and values. If you like going to the gym, gardening, chocolatey desserts, and helping at the local animal shelter, so do they! If you have tattoos, suddenly they show up with one too. 1	They lack a stable identity and are trying on yours. 2	They are working to win you over, reflecting back what they think you want to see. 3	They are faking intimacy, because they lack the skills and desire for genuine connection. For those on the receiving end of this kind of attention, it can feel like you’ve met your soul mate—someone who has the same likes and dislikes, the same take on life. Narcissists’ mirroring ends when they realize you are imperfect, as we all are. Because they have a primitive child’s perspective, lacking empathy or the ability to see others on a complex nuanced level, narcissists assign people to either perfect or worthless categories. Their initial idealization of you will inevitably shift to harsh assessment, criticism, and devaluation, which are often followed by outright rejection and discard. Projection is easily confused with mirroring. But the two things are distinctly different. Mirroring is reflecting an image back. Projecting is casting an image as if onto a blank screen. In psychological terms, projections can be positive or negative, but they are always external representations that may bear little to no relationship with the person they are ascribed to. Lacking emotional intelligence, avoiding self-awareness, and sidestepping accountability at all costs, narcissists project their own traits, actions, values, fears, fantasies, hates, motives, and distorted self-beliefs onto others. People with NPD habitually idealize and scapegoat, assigning either positive or negative traits to those around them. 5	show an idealized face to the world. 5	hold others responsible for their own abusive behavior. Where does the term “Gaslighting” come from? 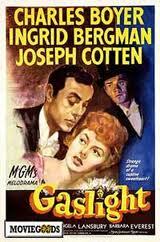 The term “Gaslighting” comes from the 1944 Hollywood classic movie called Gaslight. The film starts with the murder of the famous opera singer Alice Alquist in London. The perpetrator was after the stars jewels, but before he could get them, he was interrupted by her young niece Paula (played by Ingrid Bergman); a child that Alice had reared after the death of her own mother. To help her get over the trauma of Alice’s death, Paula is sent to live in Italy, where she studies opera with her aunty Alice’s old teacher for several years. While in Italy, she meets a charismatic older man named Gregory Anton (played by Charles Boyer), they have a whirl-wind romance and very soon she marries him. He persuades her that they should return to London to live in the house bequeathed to her by her aunt. When they arrive, hidden in a book, Paula finds a letter addressed to her aunt Alice, it was from a man called Sergius Bauer. The letter was dated two days before the murder. Gregory reacts violently to the letter, but recovers his composure quickly, and justifies his outburst as vexation at seeing his lovely bride relive bad memories. Once Alice’s things are removed into the attic, Gregory’s diabolical psychopathic behaviour becomes very bizarre indeed. Almost immediately he sets out, systematically and methodically, to deliberately drive Paula insane by psychologically manipulating their environment covertly; for example, when a picture is missing from the wall, Gregory tells her that she took it, but Paula cannot recall having done so. Secretly, Gregory gains entry into the attic and begins to tamper with the gas-light there, causing the rest of the lamps in the house to become dim. When Paula mentions hearing footsteps coming from the attic, and seeing the lights dimming for no apparent reason, he tells her it’s all in her imagination, and that he does not see any change in the brightness of the lights. He does not stop there; he resorts to other means of deception to further confuse his wife. For example, he fires his wife’s trusted elderly maid, replacing her with a younger one (Nancy) that he can seductively control. When Paula complains of feeling hurt and humiliated by his behaviour with Nancy, he tell her he is only being friendly. He states that in Europe no woman would feel humilliated for such a trivial act. Convinced that the wife is insane, Nancy begins to treat her with contempt, and Paula can feel her loathing, which further distresses her. He then takes command of all outside influences so that he has complete control over Paula, making it easier to manipulate her sense of reality. Of course, he pretends to have genuine concern for Paula, but the bottom-line is that he is only concerned about isolating her. Having isolated her from those within the house, he then precedes to take command of all outside influences so that he has complete control over her. He stops all visitors, and he does not allow her to leave the house. He implies that he is doing this for her own good, because her “kleptomania and imaginings” are due to her nervous disposition. On the rare occasion when they do go to a gathering at a friend’s house, he shows her his watch chain, from which his watch was missing. When he searches her handbag he mysteriously finds it there. Horrified, she becomes so hysterical that Gregory has to take her home immediately. She is convinced that there is something very wrong with her, and that it is best that she no longer goes out in public. Gregory’s overall goal is to drive Paula out of her mind so that he can have her certified insane and institutionalized. He continually tells her that she is ill and fragile, until confused and scared, Paula begins to act more erratically, and she starts to internalize that she is becoming the fragile person that he says she is. He even begins to rearrange items in the house, and then he accuses her of “always losing things”. Cruelly, he tells her that she is losing her memory. Knowing that her mother had died insane, to demoralize her further by viciously convincing her that she has inherited her mother’s bad genes. The more she doubts herself, the more desperate she is for her husband’s approval and love, but he rejects her, insisting that she is insane. With a combination of seduction, deception, isolation, bullying and rejection, reluctantly Paula starts to accept that she is losing her mind, and she becomes totally dependent on him for her sense of reality. Unbeknown to Paula, Gregory is not who she thinks he is, little does she know that in fact he is her aunt’s murderer, Sergius Bauer. It was no coincidence that he happened upon her in Italy. He had deliberately gone to search her out with the intention of seducing her into marrying him. His main objective was to gain entry into the house in London where he could continue his search for Alice’s jewels. It was his rummaging in the attic for the jewels that Paula had heard, and it was he that had caused the flickering of the lights (from the attic) when he reduced the flow of gas to the downstairs lights. She had become an impediment to his search, so he needed her certified insane and institutionalized so that he could be free to find his treasure. He came very near to realizing his goal, but by some chance encounter Paula meets Inspector Brian Cameron of Scotland Yard (acted by Joseph Cotten), who was an avid admirer of her Aunt Alice. He tells her that she is not going out of her mind, but that she is beings slowly and systematically been driven out of your mind by her husband. Together with Paula, and with the support of the old housekeeper (who had suspected the master of causing these events), he opens the “cold case”. The drama reaches its final conclusion when he arrests Gregory just as he has found his treasure of the long lost jewels. What is the purpose of “gaslightings”? As you can see, this “Gaslighting Tango” is a form of psychological warfare that is both deliberate and progressive in nature between one individual (the gaslighter) and another (the gaslightee). The Gaslighting Effect involves an insidious set of psychological manipulations that are carried out gradually in stages, and repeated time after time, in order to undermine the mental stability of its victim. It is truly a convoluted dance, where finally the unsuspecting gaslightee believes that they are going crazy. Anyone can become the victim of these gaslighting maneuvers; age, intelligence, gender, creed is no barrier against narcissistic abuse of this kind. It does not only happen in romantic relationships (such as Paula & Gregory above), it can occur in all different types of relationships: between parent and child, siblings, friends, and work colleague. Actually, it can happen between any two people in any walk of life if the intention is there. The gaslighting, as a harassment technique, starts with a series of subtle mind games that intentionally prays on the gaslightee’s limited ability to tolerate ambiguity or uncertainty. This is done in order to undercut the victim’s trust in their own sense of reality and sense of self, thus resulting in confusion and perplexity for the victim. Even when the victim is bewildered and left wondering, “What just happened there?”, there is a reluctance to see the gaslighter for what they are, actually it is this denial that is the cornerstone of the gaslighting relationship. Narcissists are puppet masters who manipulate their victims for personal gain. With precision they are able to “pull the strings” of their victims without detection, and render them helpless. In order to understand how a person can become a victim of a narcissist in the first place, it is important to know that the narcissist has many faces (the proverbial man or woman for all seasons). Different faces are required by the abuser as they lead the relationship through different phases; The Idealization Stage, Devaluation Stage, and the Discard Stage. The good news is that the gaslighting does not happen all at once, it happens in stages, which means that if one suspects (in the early stages) that they are being gaslighted, they can protect themselves by walking away (physically or metaphorically). However, one needs to be informed as to what those stages look like, in that way, the individual will be able to understand and identify what is happening at these different stages. With this information, one will be able to spot if they are being gaslighted in any interpersonal-relationship (whether it is at home, work or socially), and guard themselves by keeping the narcissist out of their energy field. 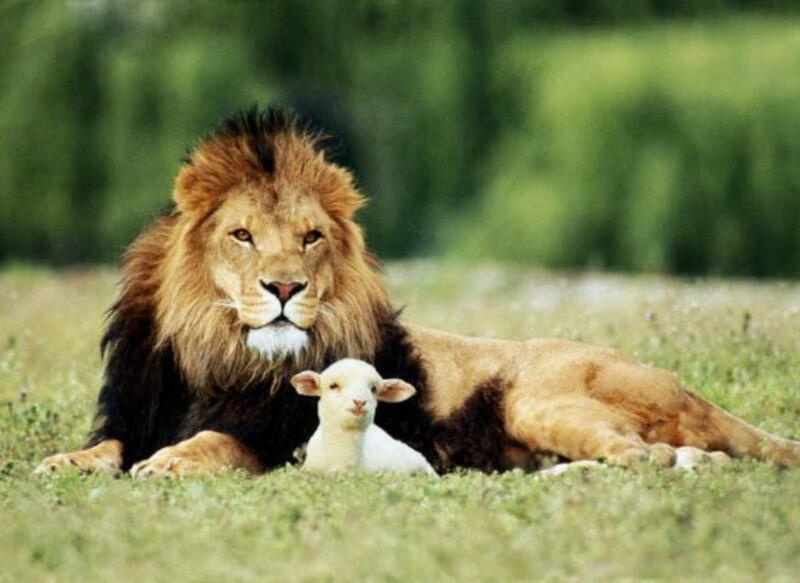 During the initial “idealization stage”, the narcissist puts on their “best face” in order to mould their victim into a symbiotic relationship with them as their narcissistic supply. In the beginning of the relationship the narcissist showers the victim with attention, they are loving, charming, flirtatious, energetic, exciting, and great fun to be with. They appear to be so happy and interested in the relationship, and the unsuspecting victim enjoys every moment with their new charismatic partner. They love how the narcissist is so beautifully intense and how they get drunk on life, and they too want to drink this elixir with them. Intense bonding begins for the victim, and innocently, they also believe that the partner feels the same way about them, that the relationship is reciprocal, but this is the narcissist’s biggest deception. Caught up in this alluring state of euphoria, the victim becomes “hooked” by the gaslighter’s exuberance and grandiose exaggerations. In this kind of relationship, victims are known to experience biochemical changes in the body and structural changes in the brain. These exciting hooks create a release of chemicals (endorphins) in the brain, and it is these endorphins (or pleasure substances) that make the victim feel the euphoria in the first phase of the relationship. Like any addict, they become addicted to that high, and very soon they find themselves hooked emotionally to their narcissistic suitor too. However, this honeymoon phase is only an illusion, all smoke and mirrors. Having expertly determined the victim’s strengths and weaknesses, the “Idealization Phase” is over, and it is time for the devaluation stage of the gaslighting to begin. From here on in, the narcissist seems to turn cold, unfeeling, and even bitingly cruel. The relationship has now shifted into the “devaluation phase”, and it is as if a lethal freak fog has descended over the relationship. Almost overnight the narcissist becomes decisively cold and uncaring. The victim’s falls from grace is a hard one, they cannot seem to do anything right anymore; the narcissists loving words turn to criticism, everything the victim tries ends in a negative effect, and they find themselves devalued at every turn. Totally confused, the victim has no idea what is happening, and they become increasingly stressed, unhappy and depressed with the situation. The roller-coaster relationship leaves the victim in a state of constant chaos, as if always “walking on eggshells”. All their energy is directed at defending themselves, so the narcissist is not getting the positive attention that they crave; this is likely to be the time when the narcissist starts to look for a fresh provider of narcissistic supply. The narcissist gaslighting is now at its peak, and there is no reasoning with them. Confused by the narcissist’s bizarre behaviour, the victim works harder and harder to please their abuser in the hopes of getting the relationship back to where it was in the start, when it felt safe. Deprived of their “narcissistic drug”, the victim is suddenly thrown into strong withdrawal symptoms. They are distraught with anxiety, turned inside out with confusion, and bereft of what they though they had, a soul-mate. In order to cope with the pain of this deep wound of abandonment and rejection, they escape into a range of unconscious defense mechanisms (a mix of denial, rationalization, infantile regressive patterns, cognative dissonance, trauma bonding etc.). Alone and isolated from the real world, these behaviours becomes their only way of surviving the narcissistic abuse, and the gaslighting they are now experiencing. No matter what they do, they only seem to create narcissistic injury to this stranger, and each time they do that, they inadvertently release an almighty rage down upon themselves (without even knowing how they are doing it). By merely engaging in these survival tactics, the victim becomes the hostage that is overly dependent on their captive (Stockholm Syndrome), where unpredictability and uncertainty is the order of their day. As a result, they are now caught in the macabre dance with the narcissist’s pathological grandiose self, where hell reigns supreme, and they regress into infantile regressive patterns of behaviour (Regressed Infantilism). At this stage they are most likely suffering the effects of Narcissistic Victim Syndrome (NVS), where they are reduced to a shadow of their former self. Finally they are at the mercy of the whims and pleasures of their “puppet master”. The narcissist despises who their supply person has become; they view them as powerless, inferior and worthless victims, but at the same time, their worthless prey is providing them with a bountiful amount of narcissistic supply. Therein lays the paradox; the more the victim shows their distress, the more they become narcissistic supply for the abuser, and the more important and powerful the abuser gets to feel. The more important and powerful the abuser feels, the more blatant their verbal and physical violent becomes. This “pull-push” scenario leaves the narcissist acting in a way that says, “I hate you, but don’t you dare leave me or I will kill you”. They will react to any perceived movement away from them as a threat to their narcissistic supply, therefore any show of self-determination by the victim will surly be devalued. The narcissist is merciless in the way they devalue the victim. Devaluation of the victim can be delivered through many different forms and levels of attack; through victims own attachment needs, their intellectual capabilities, physical body, sexuality, creativity etc. By this time, like Pavlov’s dogs, the victim has been conditioned, and appears to the outside world that they are willing partners in the narcissists “convoluted dance”. Even if they do manage to escape from that narcissistic individual, they are at high risk of future re-victimization and entrapment with other narcissists, because they are primed in a way that other narcissists can spot. In this phase, the game comes to its final conclusion. What started out as the idealization of a victim by the narcissist, is doomed to end with the idealization of the narcissist by the victim’s over dependence. Once this happens, the narcissist ardor for the game has dampened, in their eyes they have already won the contest, and the fun is over. By this time, the narcissist is totally indifferent to any needs or wishes that the victim may have, in effect they no longer exist in their mind. Not so for the victim, they are left confused and raw with emotion, and are eager to find solutions in order to “fix” the dying relationship. However, the narcissist resists all attempts to rescue the relationship, they will bully with silence, or if there is any kind of response, it will be brutally cold. In effect, the victim has become “worthlessly inferior” to them; they know they have drained the victim dry, that they have now outlived their usefulness, and now it is time for the narcissist to move on to the next source of supply. Any undertaking to win them back by the victim will only feed the narcissists ego, and further provide them with a transient source of narcissistic supply. During the process of gaslighting, the victim will find themselves going through emotional and psychological states of mind. In her wonderful book, The Gaslighting Effect, Robin Stern, Ph.D. speaks of three stages the victim will go through: Disbelief, Defense, and Depression, she also goes on to flags down warning signs for recognizing when one is being gaslighted. I would like to expand a little on her analysis. Gaslighting is an extreme form of emotional abuse used by the narcissistic gaslighter to manipulate the innocent victim (gaslightee). The effects of gaslighting are so insidious, that they can lead to the victim losing all trust in their own judgment and reality. The victim’s initial reaction to the gaslighting behaviour is one of utter disbelief; they cannot believe the sudden change towards them, or indeed the fact that they are being gaslighted in the first place. All they know is that something terribly odd seems to be happening in the relationship, but they cannot figure out what it is that is happening. Of course, this is precisely what the abuser wants, after all, it would not work if the victim knew what was happening. The methods used by the narcissist in the initial idealization stage of the relationship progresses in such a way that it virtually guarantees that the victim will become hooked utterly and completely to their narcissistic abuser. Blinded by their love after been totally seduced, the victim naturally, trusts genuinely that their love is reciprocated, but of course, this is untrue, a total fabrication. Where once the abuser’s communication with the victim had been accessible and stayed within the relationship, it has now become blocking and diverting. All they know is that where the narcissist had once held them in “good heart”, they have now become highly critical of them. The sympathy and support that had been available has now turned to distain and antagonism. Whenever the victim (gaslightee) wants to reasonably discuss what is happening in the relationship, they are meet with silence, or worse, they find that everything that is being said is twisted or trivialized. It is important to realize that the gaslighting does not need to be severe in order to have severe consequences on the victim; it can be as subtle as being told that “you are so sensitive”, or that they should not do something because “you are not able to do it, leave it to me”. Even though the victim can rationalize that these statements are untrue, gradually their confidence is being eroded away to such an extent that they cannot trust themselves. Gaslighting strokes, such as moving items from place to place, and then the abuser denying that they had moved the item really creates huge confussion to the victim. Or saying something, then later denying that they had said such a thing. All of this psychological warfare has the effect of making the victim doubt their own memory or perception of events. Desperate for the gaslighter’s approval and reassurance that they are not going mad, the victim becomes very dependent on their narcissistic abuser for a sense of reality. At this stage the victim still has enough of their self to fight and defend themselves against the gaslighting manipulation. However, the narcissist’s “gaslighting” is beginning to do what it is intended to do, that is, to throw the victim off balance by creating self-doubt, angst, turmoil, and guilt. This emotional damage causes the victim, over time, to lose their sense of reality, and sense of self. Becoming lost, confused, and unable to trust their own instincts and memory, they tend to isolate themselves somewhat because of the shame they feel. Before long their psychic energy becomes depleted, and they are left unable to defend themselves from the horrendous gaslighting effect. At this stage the person’s whole system may feel that it is in danger of annihilation. From birth, nature builds in unconscious defense mechanisms and adaptive behaviours in order to protect the child from annihilation from early trauma, and these same defenses remain throughout life when ever we are vulnerable to highly stressful experiences that threaten us with annihilation. When the child starts life, they experience the world as a frightening place, so in order to reduce their fear they need to form an emotional bond with somebody in order to reduce their stress and anxiety. They identify and bond with their main caregiver (usually the Mother), and of course, they are very likely, at some time in the future, to experience her as their first aggressor. Mother can be experienced by the child as being both “threatening and kind”, and this seems to lead to the child turning to emotional bonding for survival. This psychological condition is known to-day as “Stockholm Syndrome”. It is found to happen universally in situations where people find themselves to be held captive and in fear of their lives; as in kidnapping, hostage situations, and narcissistic abuse. This phenomenon of trauma bonding with the narcissist aggressor can be found in Narcissistic Victim Syndrome. In Stockholm Syndrome, the victim adapts to the traumatic situation by unconsciously going into an regressive mode, where they return to childish infantile patterns of behaviour (Regressed Infantilism), and bond with their captor as they did with their mother earlier in life as a defense against annihilation. In order to cope with the discomfort of living within such madness, the victims motivational drive provides a way that they can rationalize to reduce the dissonance they are experiencing (Cognitive Dissonance). For the therapist to understand the dynamics of all these defense mechanisms, they will then be able to appreciate why victims stay in these narcissistic abusive relationships, as it is a clever, but complicated unconscious self survival strategy. What are the warning signs of Gaslighting? • Second-guessing: Because a victim has had their confidence eroded by the constant gaslighting, they live in fear of doing the wrong thing, and making their situation even more dangerous for themselves. They invariably find themselves asking “what if”, and always trying to second guess themselves. This often effects how they problem-solve, and make decisions in their life. • Asking “Am I too sensitive?”: Projection and blame are the hallmarks of gaslighting, and the victim become hyper-sensitive to the constant humiliation of their abuser. They hear countless times that they are “too sensitive”, that they soon begin to believe the lies. As a result they look for approval before doing anything, fearful that they will make more mistakes that will end in more humiliation. This form of gaslighting makes the victim doubt everything about themselves, so they constantly ask, “Am I being too sensitive”. • Apologizing: Living with the narcissistic Dr. Jekyll and Mr/s Hyde, the victim finds themselves always apologizing for “never doing things right”, they even apologize for their very existence; it is a way of avoiding more conflict with their aggressor. Apology is not just something the victim does to be polite; it is a powerful strategy for staying safe while in the war zone, and a means to disarm the anger of the gaslighter. Most importantly, the power of apology is that it can take the shame off the narcissist and redirect it towards the victim, therefore avoiding some of the narcissists rage. • You feel hopeless and joyless: What had once seemed like heaven has now turned into a hell. There is no peace or joy in this place, just fear and suppression. Life loses all hope, as if the light has been turned off. All that remains is the deep black cloud of depression. And the victim is forced to live in a state of acquiescence in order to survive. Their perceptions of reality are continually undermined by the gaslighting sham, so they end up losing confidence in their intuition, memory, or reasoning powers. They are spun lies, lies that tell them that they are over-sensitive, imagining, unreasonable, irrational, over-reacting, and that they have no right to be upset. Hearing this time and time again, their reality is turned inside out, and they begin to believe that this may all be true. The narcissist’s form of psychological abuse has managed to instill in their victim an extreme sense of anxiety and confusion to the point where they no longer trust their own memory, perception or judgment. In this state they are truly a hostage. However, many manage to get the courage to break free, but this is usually after several painful attempts. But when they do finally escape, in time they may find their way to your therapy room. Your job is to not just do the recovery work with them, but also to educate them about the traits and effects of narcissistic abuse. That way you give them back their reality and power, and they will be in a position to be able to recognize the narcissist at work, and be equipt to guard themselves against further re-victimization. Don’t underestimate the power of recovery of these people; the fact that they have survived such extreme abuse is testament to their strength and determination. I never fail to be amazed at the resilience of the human spirit. Narcissists go through two cycles where they are either euphoric, which creates a feeling of exaggerated elation and well-being; or dysphonic, which generally creates feelings of sadness, anxiety,irritability, and restlessness. These states are related to the absence or to the presence of Narcissistic Supply. With the loss of either the Primary or Secondary Sources of Supplies, the narcissist will experience a cycle of dysphoria that will be overwhelming and inescapable for them. When the dysphoria sets in, the narcissist will display mood swings, especially rage, and he will feel (and look) out of control. He is then likely to turn to one of his other classical addictions, for example, excessive shopping, food, drugs, etc., and he becomes even more detached into a world of fantasy and refuses to deal with anybody, instead uses messengers to do his communication for him. At its height his feelings of isolation and self -loathing, he turns inward, and this may well lead to feelings of suicide, he then turns in desperation to his family (his secondary source of supply). Now in a rage, he punishes anyone who he thinks is adding to his pain. At this point he is anti-social, and dangerous, and in some cases, possibly even psychopathic. He will then withdraw into life, what Vaknin calls, narcissistic hibernation (this is the depressive part of the cycle). After some time in this space, the narcissist begins to feel a change, a change that will promote self-healing, and once again the narcissist feels in control and looks to the next achievement. Like a high-energy firework, the whole tiresome business of finding a new source of narcissistic supply begins all over again, and he is energized until the next paranoid disaster comes around. According to Vaknin, this reactive pattern, which he calls the Reactive Repertoire, is the physical dimension of the narcissist’s constant evasion of life and reality. It isn’t always easy to do the right thing. If it was we wouldn’t make a big deal out of it when someone does. Fortunately most people can see truth when it’s in front of them. This quote pretty much says it all. Moral courage. Wow that’s a big one. Some might say we live in a society that rarely rewards moral courage and rarely condemns its lack there of for that matter either. Few people want to get involved in things they feel are not any of their business. Few people will stand up for what’s right and wrong in a marked manner. Few people want to “choose a side” as if somehow that was a bad thing. Some would rather just look the other way. It may be an inconvenient truth for them or worse yet, some may choose a side based on evaluating perceived personal gain and convince themselves their actions and behavior is valid and justified. Sometimes they do choose to get involved (hopefully from a place of goodness) and stand up for what’s right. Sometimes it’s after the fact, leaving one to think, gee that might’ve really been helpful information to me a while ago. However, even delivered late it can still be meaningful, appreciated and of great value for clarification and discernment. It’s one thing to do that when it truly isn’t any of your business, but to do that when it’s someone close to you, well, that is a bit more complicated and with complex ramifications. It’s impossible to play both sides of a field at one time. Herein lies the struggle of remaining “neutral” as people often like to say. As if that is somehow an admirable quality. Ignoring reprehensible behavior without accountability for actions, is thereby condoning the behavior. The real admiration goes to those who have the moral courage to do and say something when it’s clearly, absolutely abhorrent and not pretend something is acceptable when it isn’t, or even worse pretend it didn’t actually occur altogether. That’s why they call it courage. It isn’t always easy, but it’s always the right thing to do.